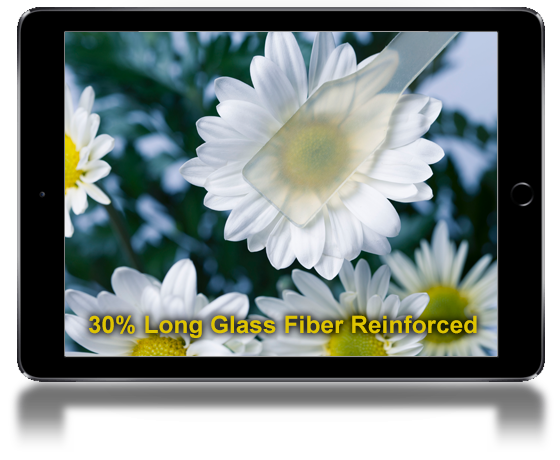 PlastiComp’s patent pending translucent long glass fiber reinforced rigid engineered thermoplastic polyurethane (ETPU) composites bring the unique benefit of visual translucency to long fiber reinforced materials. 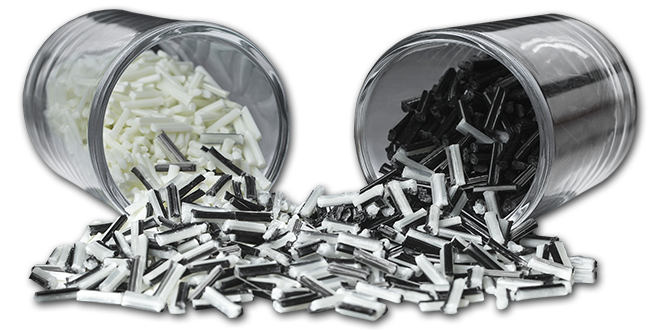 This rare attribute is achieved by matching the refractive indices of the polymer and the glass fiber reinforcement combined with PlastiComp’s optimized pultrusion process that completely wets out each fiber filaments with resin during composite pellet production. For the first time you can now obtain the strength, stiffness, and toughness benefits of long fiber reinforcement and have surface contact transparency in wall sections up to 1/8” (3 mm) thick. Combine see-through part designs with reinforcement to reveal internal components, provide monitoring windows, or add LED backlighting into a broad range of applications to improve functionality while retaining structural performance.